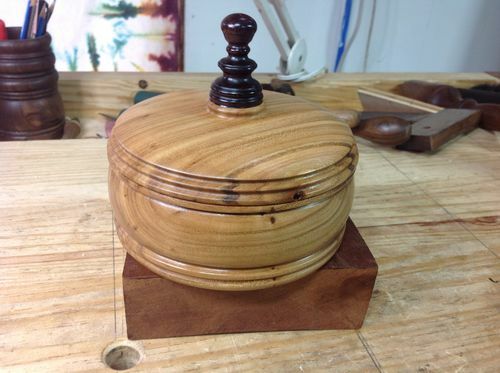 Here is another handful of containers turned on the lathe during the past few weeks. 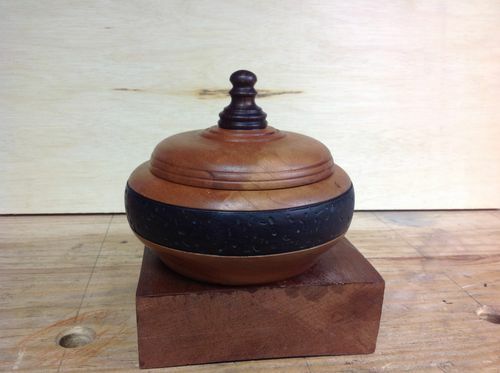 A lidded box shaped from Cherry and Cocobolo; with random dremel carvings and tinted with black dye. 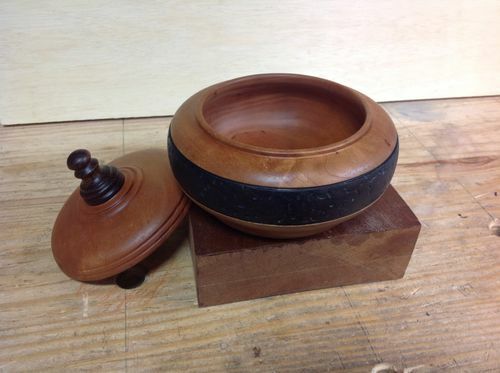 A non-carved container made from two layers of Tigerwood; the black dye is an attempt to hide the joint. I’ll experiment with more like this since 8/4 lumber is easier to find! 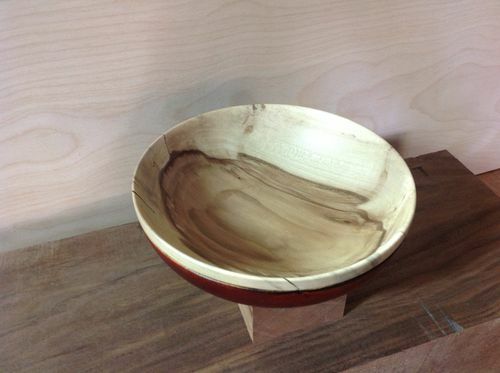 A wide, flat bowl turned from Rock Maple and accented with red dye. Finished with Varnish applied by dabbing a sponge over the surface, so some texture shows. 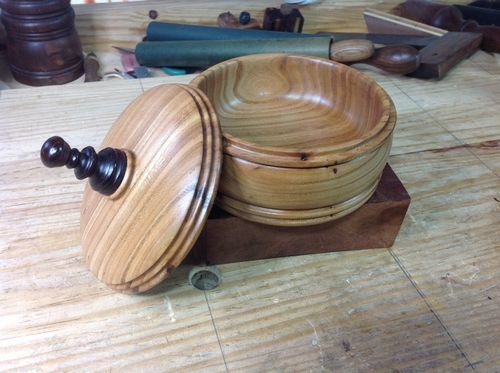 And, finally, two bowls from “yard wood”. 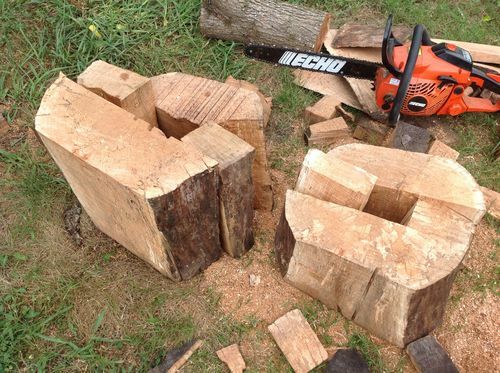 We had two stumps stored in the driveway for a couple of years until I sawed them up this past spring/summer. I cut them into smaller chunks, rough-turned them on the lathe to speed drying, and now have plenty of bowl blanks waiting to be finished! 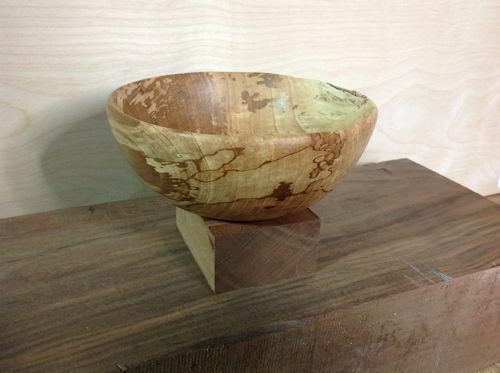 Gotta admit, it’s very pleasing to watch wood go from log to finished bowl in your hands! My found wood pile is growing despite the fact we are planning to move soon! LOL! Wonderful job Terry. 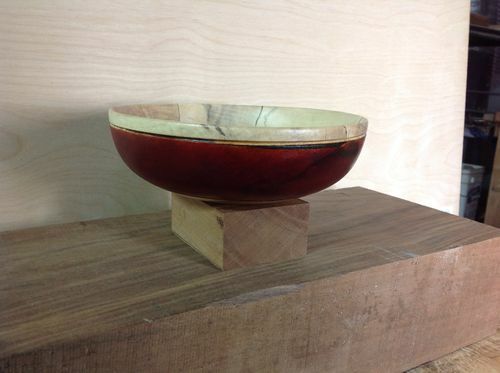 The bowls are particularly stunning. Fine looking bowls. Looking through woodpiles is fun. Terry, these all look wonderful. Nice work. 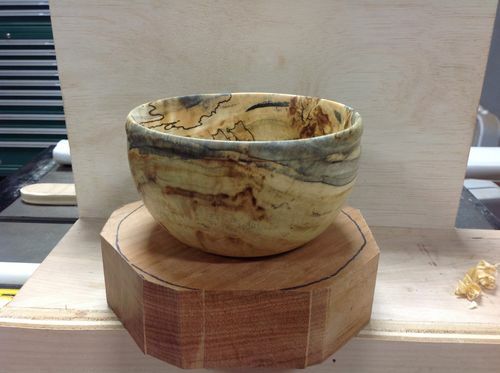 I love the elm and the spalted bowls. You do good work. 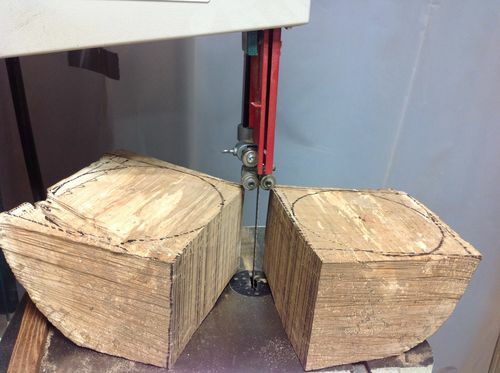 Realy amaizing transformations from logs to finished turned project. Great work Terry! Always enjoy looking at your turnings. Beautiful bowls. Combination of wood and design. Beautiful work Terry, the forms are excellent and the dye sets them apart, well done! 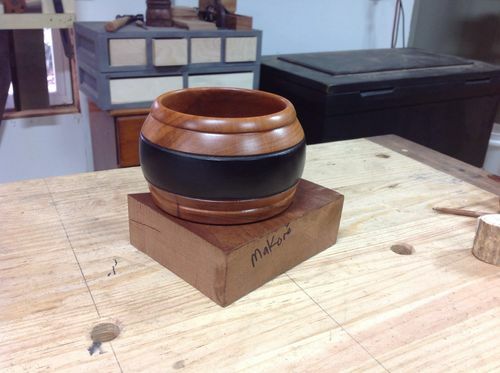 you are putting that lathe to some good use!! Diamonds in the rough! Nice wood, nice turnings, nice colour! Like them all! Looks to me like you’ll have to take that wood pile with you Terry if it is hiding gems like that. Of course they are only turned into gems after you have worked your magic. Really nice job on these as usual. You’ve been busy Terry, beautiful results! Hard to say which one is prettier. Your turning skills are top notch, but your artistic design skills are way up there too.